That cute striped t-shirt with a silver star up there is from Target. My daughter has been obsessing over it non-stop since she saw her friends wearing it. She would not stop talking about it and its totally sold out everywhere. (Yes, even five-year old girls have clothing obsessions and lusts. They actually start even earlier). 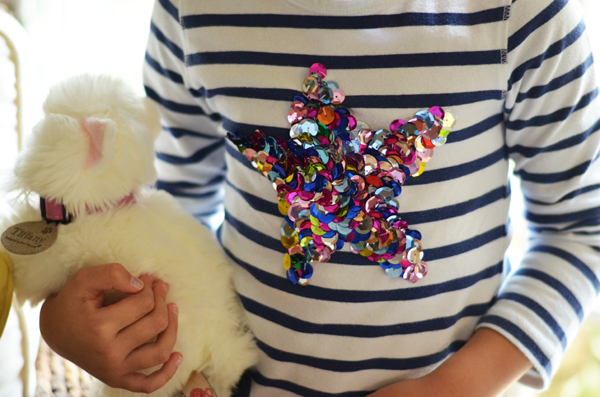 She has different versions of this type of t-shirt from Crewcuts with hearts and bows so we were doing alright in the sequins department, but she really, really needed to have a STAR on top of some STRIPES. What is a mama to do!! DIY it of course!! 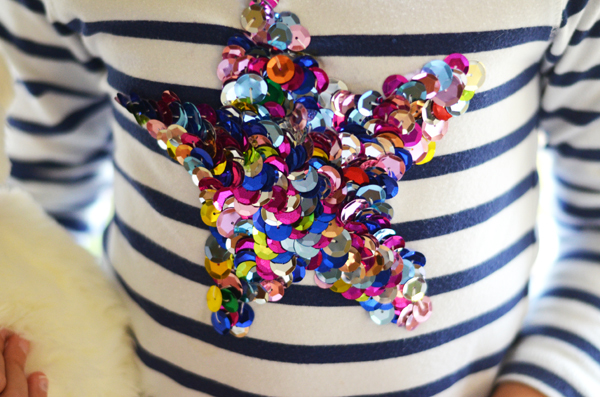 So I took an old H&M t-shirt and some color sequins she had in her art supply bin and voila!! 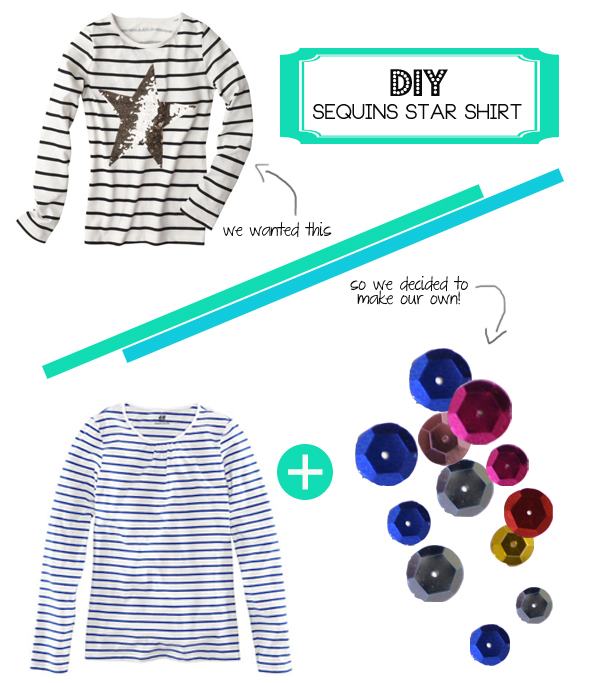 I should have looked at a "How to sew sequins video" before to learn how to do it properly...but I didn't. And that is ok.....because we are SO happy with the result I might have to pry it off of her. And for all the hugs and kisses I'm getting that have not stopped for days, well its worth every second. The time commitment you ask? What is a few hours for the ones you love? Nothing at all. What labors of love have you done for your loved ones lately? Thanks so much for all your encouragement with the DIY chandelier. 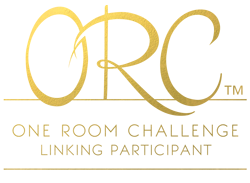 You guys are so supportive and I do hope if you are inclined to try it you venture and do it. I think you and your home will be so happy you did. Do the Three Kings visit any of your homes this weekend? They come to ours! Happy weekend! Ok that is adorbs and looks laborious. We need to find me a diy tutorial on how to make a fox sweater. One sold for $83 on ebay yesterday! OMG! Old Navy. $83!!! Doesn't even go in the same sentence. Albertina, te quedó espectacular!! LOVE it! Haha I have that tshirt. I couldn't resist it and bought the L. My daughter was also obsessed with it and luckily one day I foundcthe xs for her. It's still too big so I'm saving it for a surprise gift. I love how yours came out! This is precious and I like your results better than the store bought version! Love the colored sequins and is it wrong that I'd wear a similar shirt? :) Have a great weekend! This is adorable! And I'm totally loving your DIY version better than the Target version. Best mom ever! Albertina que manera de uno nutrirse mirando tu blog . Muy buena idea !!! simple y divertida : me la imagino para una polera de mis hijas ya que para mi ….…. muhhhh.. je je ..estoy un poco viejita para esas cosas tan coloridas (42 años). Tu eres definitivamente una artista!!!! Felicitaciones! Love the multi coloured sequins! Bravo! Albertina!! It's better than the Target version - I swear!! you are soooooo inspired, Albertina!!! wow. You are soooo inspired, Albertina. Wow. OMG this is seriously so cute! LOVE the colors you used. I'd wear it myself! So cute. I bet she loved it! I am very impressed!